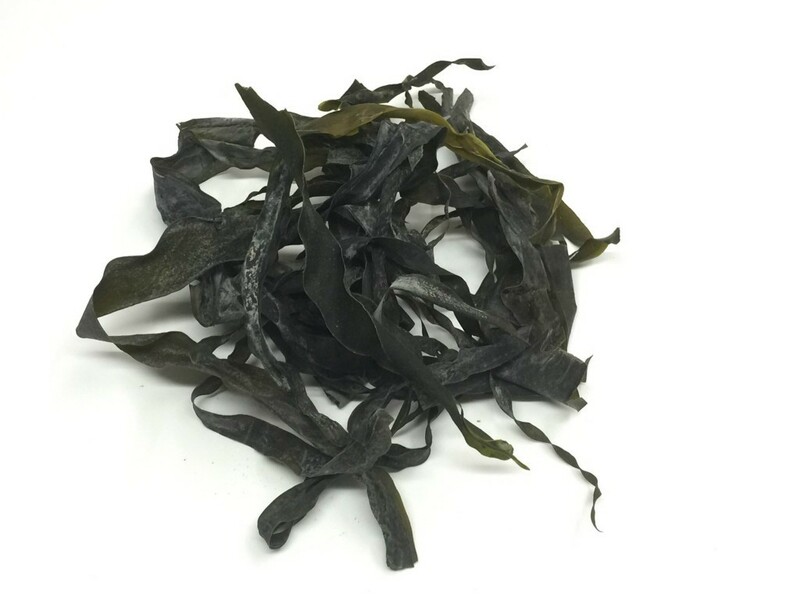 Kelp Digitata or Kombu contains more iodine than any other sea vegetable. 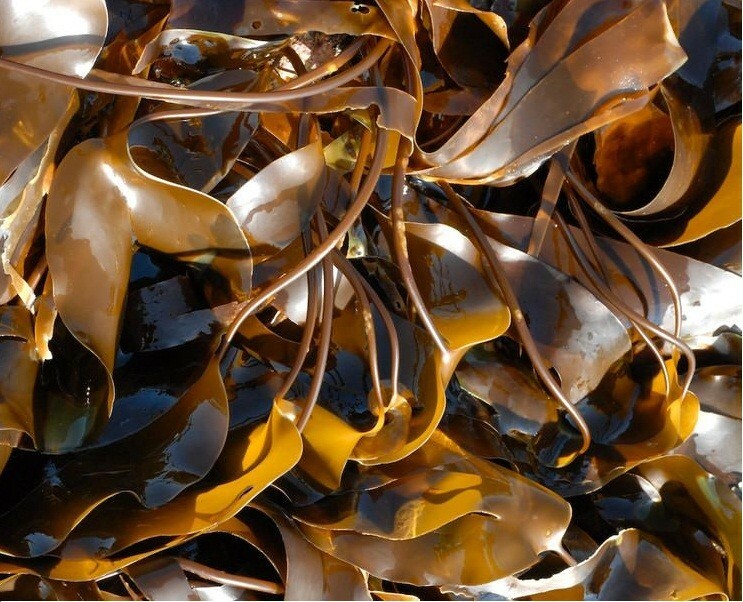 L. digitata is a tough, leathery, dark brown seaweed that grows to two or three metres. The holdfast which anchors it to the rock is conical and has a number of spreading root-like protrusions called rhizoids. The stipe or stalk is flexible and oval in cross section. The blade is large and shaped like the palm of a hand with a number of more or less regular finger-like segments. 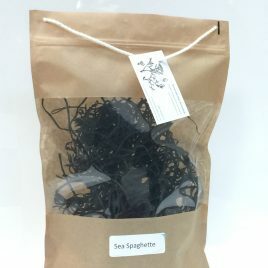 This seaweed can be distinguished from the rather similar Laminaria hyperborea by being darker in colour and having a shorter stipe that does not easily snap when bent. L digitata occurs in the north west Atlantic from Greenland south to Cape Cod and in the north east Atlantic from northern Russia and Iceland south to France. It is common round the coasts of the Ireland. Can be cooked as a sea vegetable. 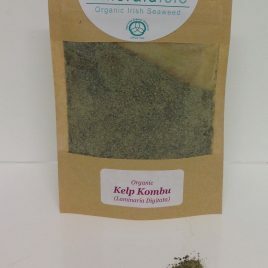 Recommend using kelp in salads, smoothies, as a flavouring for fish and also in soups also use it to cook with rice and grains to add taste and into salads. 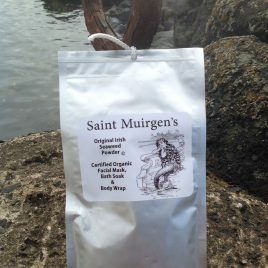 You can also use it in smoothies as a dried powder or add to fish at the end of cooking. It can also be used in miso soup. 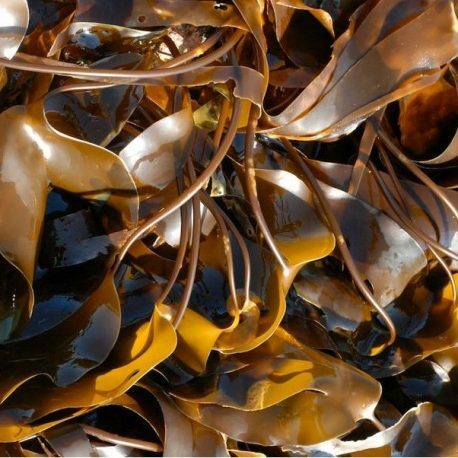 ‘You can take kelp as supplements, but you really want to be eating in its raw form to get the most nutritional benefits. Why we should all eat seaweed !